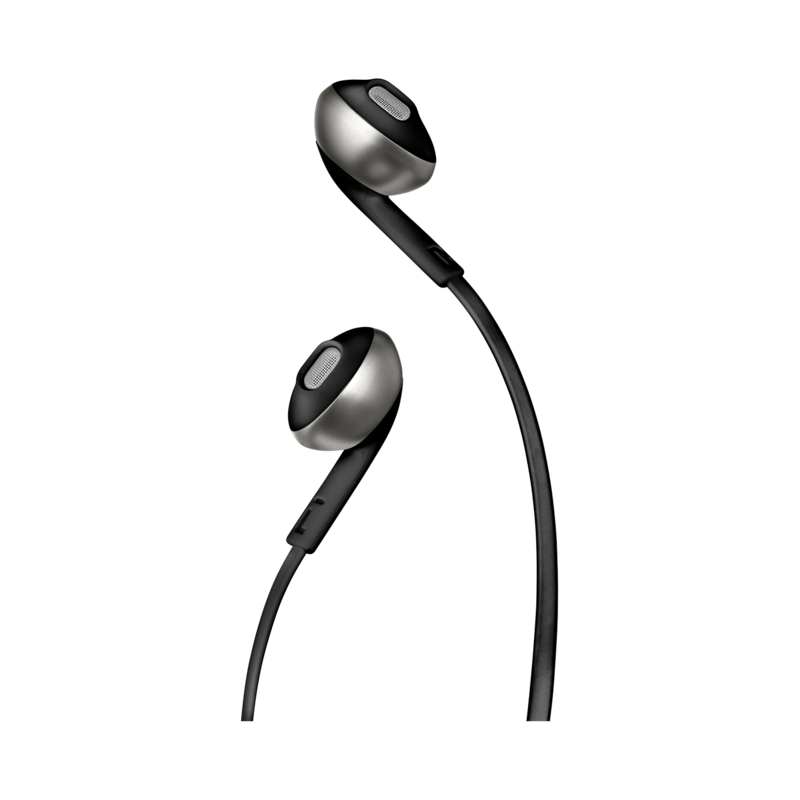 High quality finishes give your headphones (and you) a refined and stylish look. 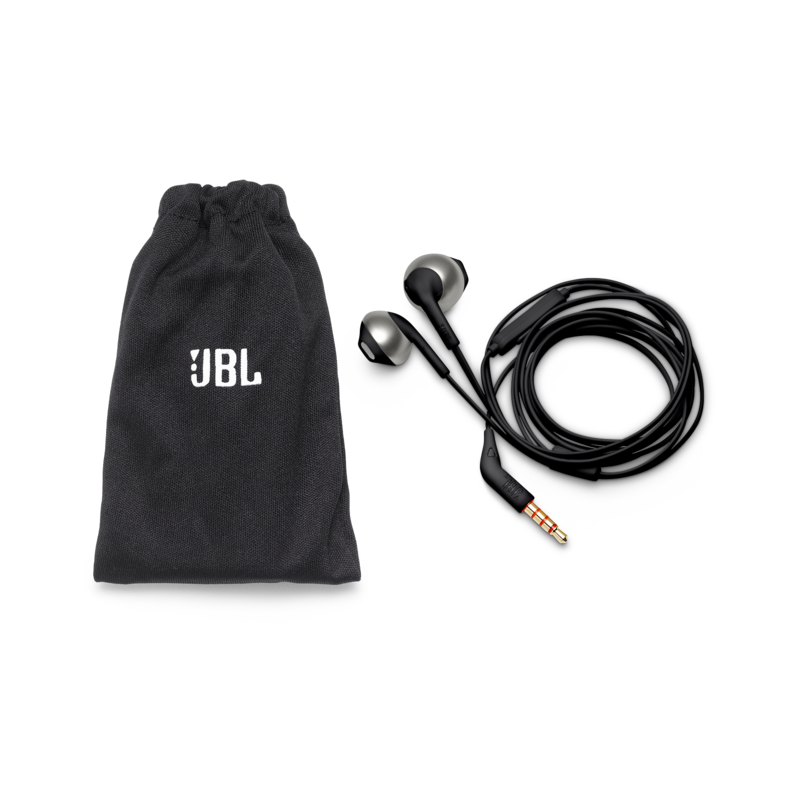 The TUNE205 can be conveniently stored in the soft carrying pouch and carried along. 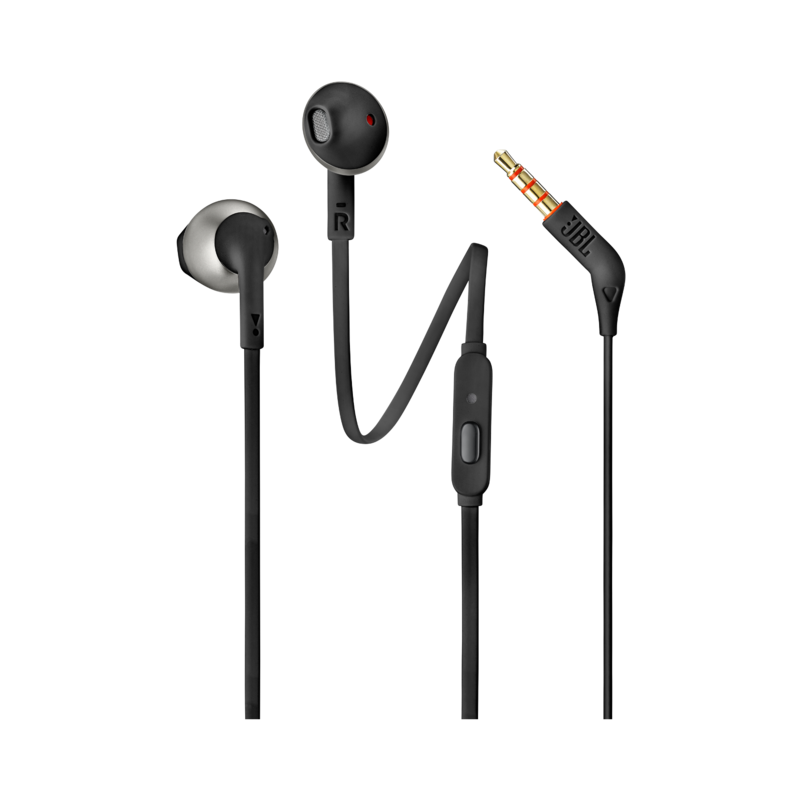 Introducing JBL TUNE205 earbud headphones with JBL Pure Bass Sound. They’re lightweight, comfortable and compact. 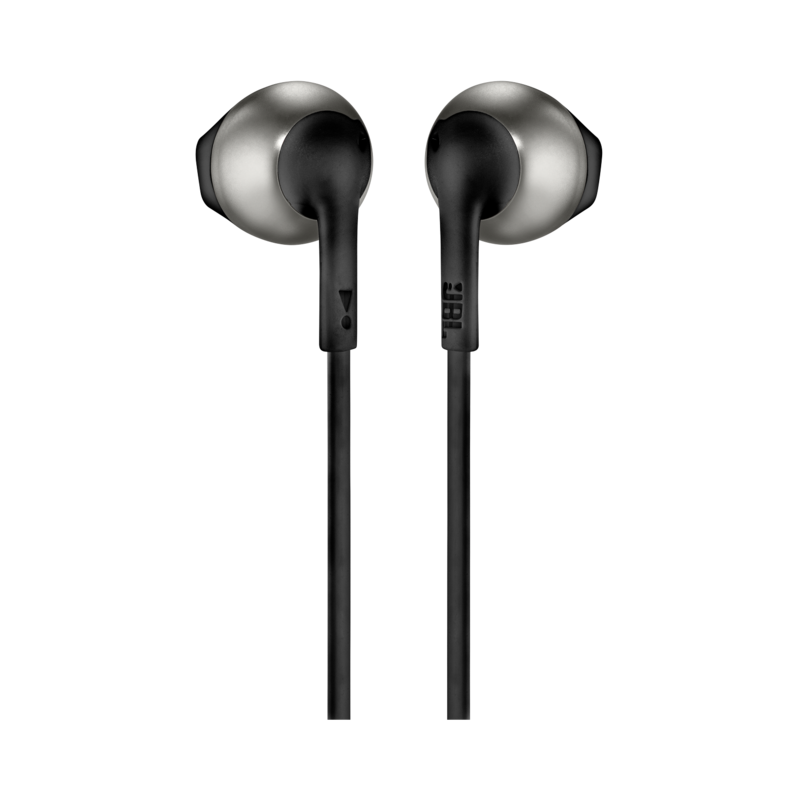 Under the premium metalized housing, a pair of 12.5 mm drivers punch out some serious bass, while the soft, ergonomically shaped earbuds ensure the listening experience remains comfortable for long-listening hours. 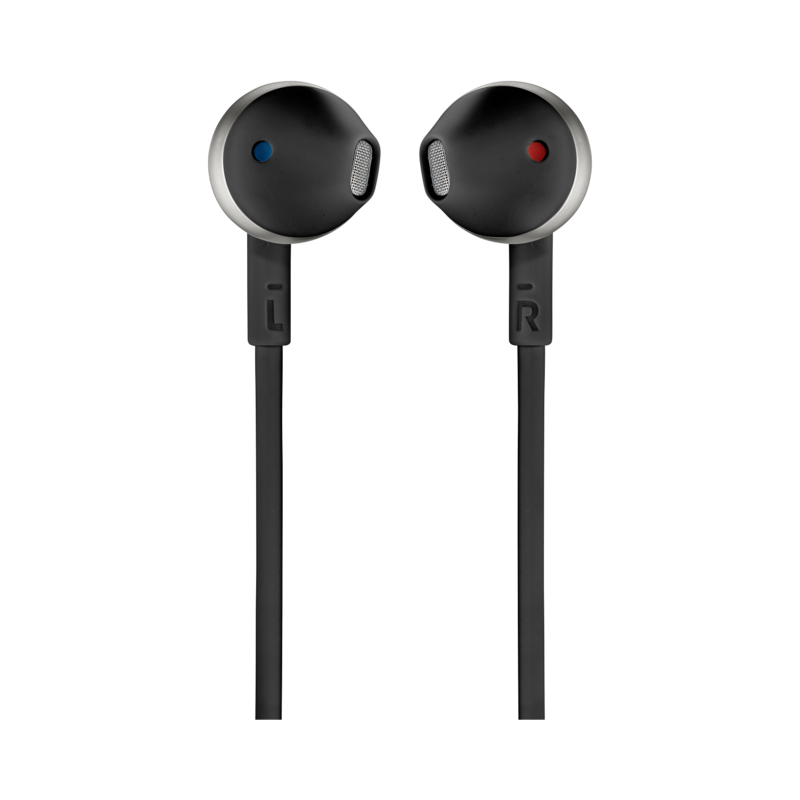 In addition, a single-button remote lets you control music playback, as well as answer calls on the fly with the built-in microphone, making the JBL TUNE205 your everyday companion for work, at home and on the road.